Yuko Yamashita is a Japanese hair stylist who has spent her entire career making people feel good about their hair. 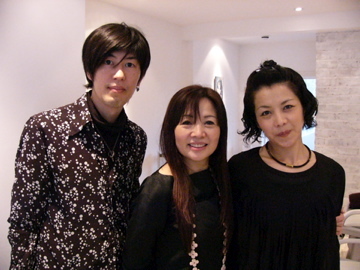 In 1996, in collaboration with Phiten, a Japanese health and well-being company, she created a revolutionary straightening system. The YUKO brand was born! From straightening solutions and creams, to pre-treatments for differing hair types, to nourishing shampoos and conditioners, the YUKO the experience really can be tailored to all hair types. Formulations are designed to be easily absorbed so key ingredients get to where they are needed, ingredients which are specially chosen to strengthen and moisturize. Yuko really does care for your hair. For beautifully smooth permanently straight hair. Our primary focus is to enable you to have healthy silky hair that you feel great about. A special de-frizzing system designed to give you beautifully soft, manageable hair. It is very gentle, so much so that it can be used on the same day after hair colouring. 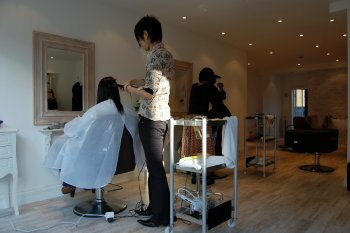 A consultation is required before a booking can be made for YUKO permanent Hair Straightening or Anti-Frizz treatments. If you are booking for permanent straightening a £100 deposit and if you are booking for anti-frizz a £50 deposit is required at the time of booking. the time of booking will be refunded. If you cancel or change your booking less than 2 weeks before your appointment time then we will not refund the deposit you paid at the time of booking. Late arrival for you appointment (more than 30 mins) will be considered as a cancellation and treated in the same way as a cancellation less than two weeks before your appointment time.